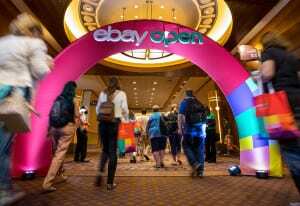 With its Fill Your Cart with Color campaign as a backdrop, eBay hosted for a second year its largest seller event, eBay Open, at the MGM Grand Las Vegas, July 25-28. The event grew nearly 50 percent year-over-year at 1,400 seller-community attendees, and evolved from 2016 thanks to a stream of feedback—mirroring the backbone of eBay business and seller feedback. eBay Open is designed to give sellers the latest tools, education and best practices to improve and streamline their businesses on eBay. 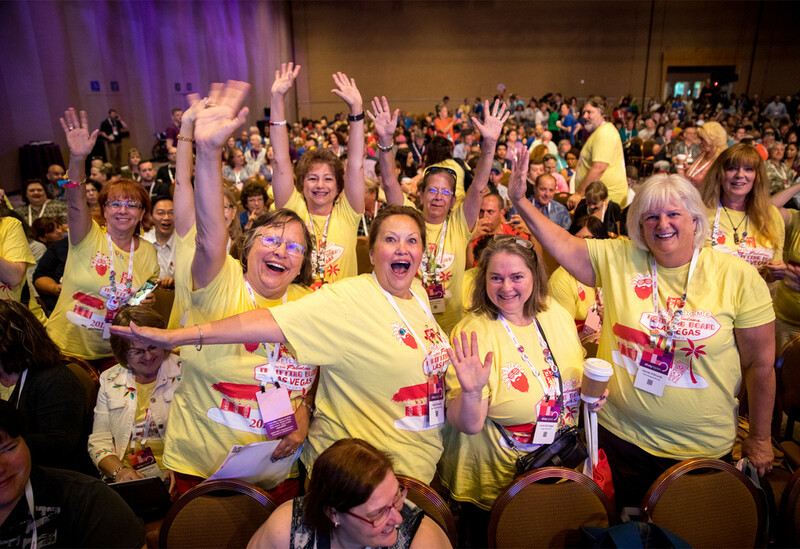 On top of sessions, there is an expo hall with third-party sponsors, meetups, receptions and the Shine Awards program held during the final general session. 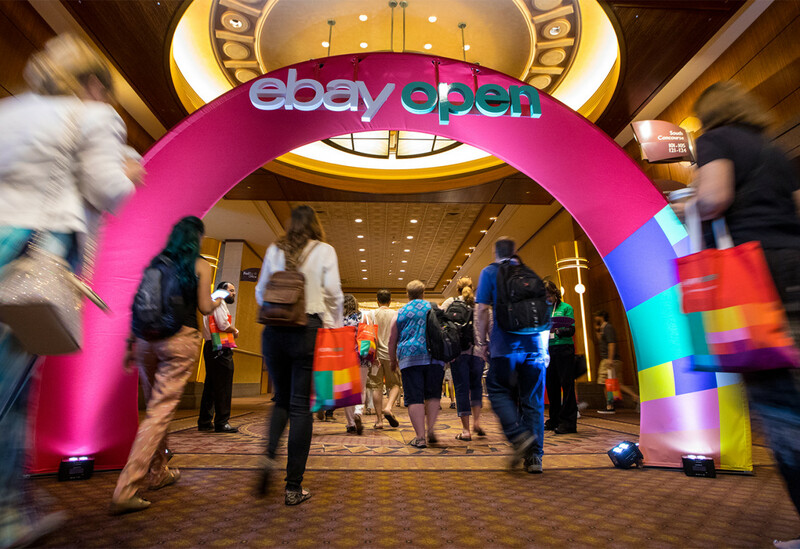 This year, eBay revamped the event with a new venue (moving from The Venetian to the MGM for attendees desiring better rates), enhanced networking spaces and peer-to-peer learning, as well as the infusion of eBay employees into the event landscape. This year’s Open boasted an equal representation of veteran sellers and new sellers, representing 40 states in the U.S., Canada, Latin America and even Europe, which could signal the start of Open evolving into a global event (Agency: Jack Morton Worldwide). 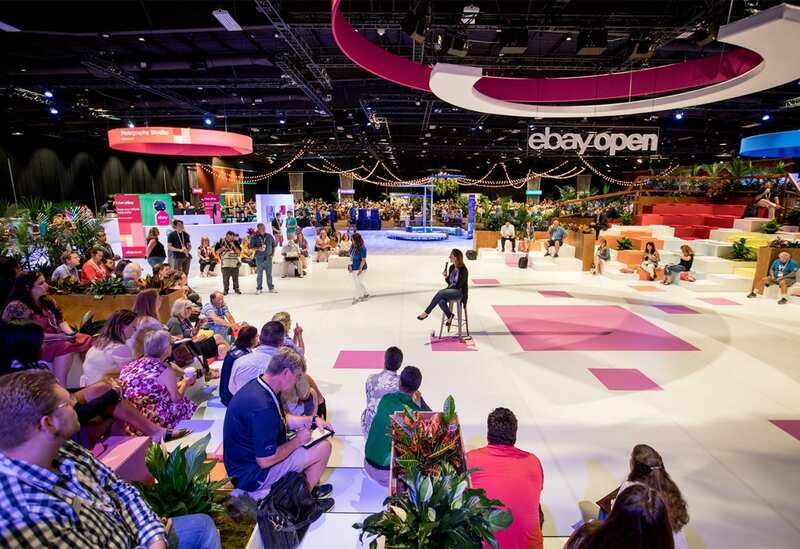 We spoke with Katherine McBride, director-seller communications at eBay, to gain b-to-b insights on Open’s growth strategy, goals for this year and engaging the seller audience. Here’s a look. 1. With newbie attendees, eBay was free to flex its design muscle. 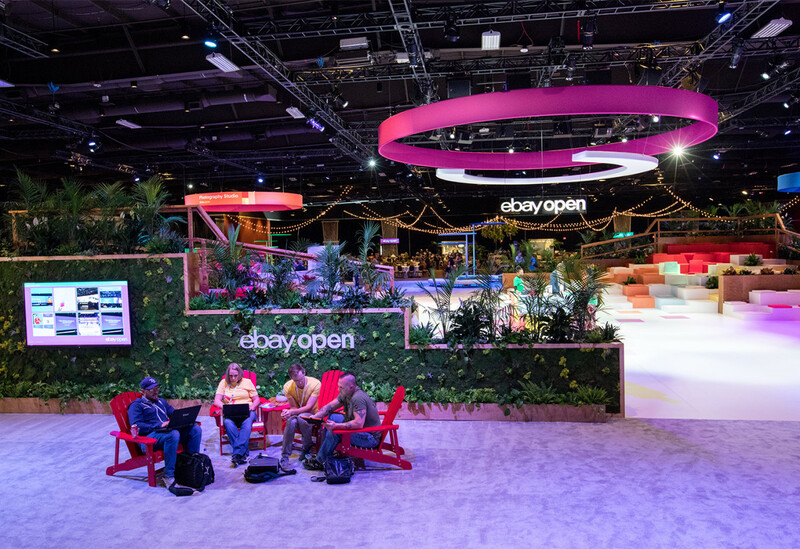 With networking being one of the main priorities for sellers, eBay constructed a meetup-friendly expo hall complete with an Agora (a Greek “marketplace”) design that served as a “city center” and featured pillars, seating and an open amphitheater. “I’ve never heard of another company using that term, so that was unique to us,” McBride says. 2. Color as a campaign theme served as a networking guide throughout the space. The Agora space in the expo hall was used as a welcome reception space and a space for sellers, exhibitors and eBay teams to mix and mingle. Push notifications via the event app informed sellers of meetups by categories held under one of five color zones throughout the expo hall, identified by colored ring formations suspended from the ceiling. Meetings were set based on region one day (so all sellers from California could mingle in the “blue area”) and by verticals the next day, at lunchtime and then during the receptions. 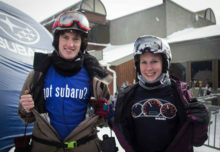 “We wanted sellers to meet early and often before the event was over so they’d have the opportunity to meet frequently again during the event and then hang out at the Thursday night party,” McBride says. 3. Colorful installations brought eBay messaging to life. 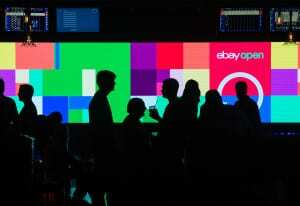 eBay brought the Fill Your Cart with Color campaign to life with a gallery space that featured the platform’s top-six selling verticals in different color schemes. 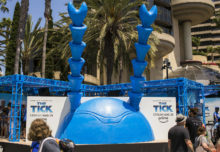 As sellers entered the hall they immediately were immersed in an entrance experience with a 3D feel that featured 200 products sourced directly from eBay, along with plaques crediting the item’s seller. A video monitor displayed front and center eBay’s commercials and campaign video. 4. Content evolved with deeper topics and peer-to-peer presenters. eBay leveraged feedback from 2016 indicating that sellers wanted “richer and more advanced” workshops, McBride says. 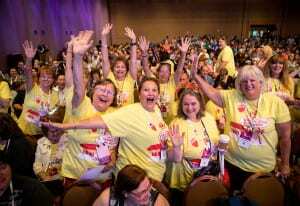 This reflected in session topics like “Understand Your Buyer,” “Photography Best Practices” and “Know Your Numbers” for finance and accounting tips. 5. Attendees could take advantage of one-to-one business counseling. 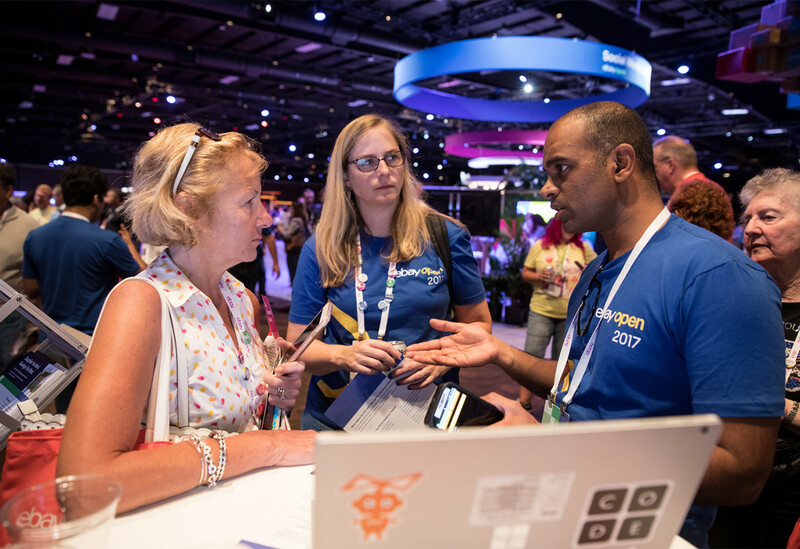 As part of the pre-show communications push, eBay encouraged attendees to sign up for Customer Care Corner appointments that provided 15-minute, one-to-one customer service consultations to address issues related to the sellers’ businesses on eBay. More than 400 appointments were pre-booked before the event, and an additional 400 slots were available for walk-up consultations. 6. eBay employees helped drive engagement, networking and feedback. On top of paper surveys and mobile surveys presented to attendees before, during and after the event, 250 eBay employees attended the event this year to collect feedback over the course of the three days. Last year, eBay employees were somewhat separated, with their own eating area, for example, so as to not disrupt the seller community. But based on feedback from last year’s event, eBay learned that the seller audience wanted to engage with eBay brand employees often on-site. Overall, the brand drove the message that eBay is “not just a place to transact but a place to belong,” according to McBride. Something eBay Open represented in more ways than one. 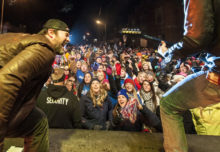 Pepsi Brings Halftime Hype to Small Town U.S.A.